The peloton will return to WorldTour racing on January 17th in Adelaide, Australia, for the Santos Tour Down Under. The race comes at the height of Australian summer and offers little in the way of a smooth transition to racing - those who ride well at TDU have to arrive in absolute form. 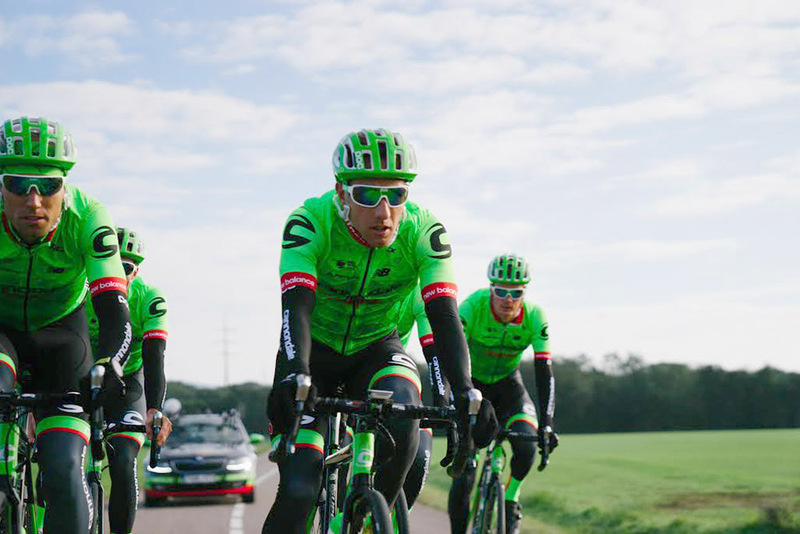 To this end, Cannondale-Drapac is sending a motivated squad Down Under. Tom-Jelte Slagter, winner of TDU general classification in 2013, and Mike Woods, in just his second top level season but a danger man nonetheless, will lead the team in the six-stage race. Joining Slagter and Woods are Paddy Bevin, Brendan Canty, Will Clarke, Alex Howes, and Tom Van Asbroeck. The race marks the first with Cannondale-Drapac for Canty, Clarke, and Van Asbroeck. The same lineup will also race the People's Choice Classic on January 15th in Adelaide and again on January 29th at the Cadel Evans Great Ocean Road Race, now a WorldTour event. For Woods, the TDU may be a sequel to a script he wrote last year. "Last year I knew I was in really good form and Jonathan Vaughters told me, 'we're going to make you the guy for Down Under'. I was super-stoked about that. In retrospect, that was crazy that JV just was like, 'Dude I'm going to give this rookie a shot at a WorldTour race' with no experience whatsoever, but it panned out awesome," Woods said. "I think when the guys saw my name as one of the leaders in the pre-race e-mail they were probably thinking, 'Um, this is a really bad idea.'" It wasn't. Then unknown, the neopro finished fifth overall and was third on two stages. "I want to replicate that if not improve on that performance this year," Woods added. "We also have a good guy in Tom-Jelte Slagter, who's won the race before, so we're coming in with a very strong roster. I feel good having TJ there - it takes a bit of pressure off me. We have a few ways to do well." When Slagter last lined up in Australia to race, he won the overall and the queen stage, then riding for Belkin Pro Cycling. That victory sticks out as one of his most memorable. "The one I recall the most was the Tour Down Under win in 2013. It was a great team effort" Slagter said. "I'm happy to be going back to the TDU - I've got good memories there. It's an early race but an important one. We've got a good team going, and I think we're all motivated. Between myself and Mike Woods I think the overall is something we can look at." The TDU parcours is one for an all-rounder, with two decisive days for general classification. The climb up Willunga Hill always shapes the race, and another, that up to Paracombe via Torrens Hill Road, should also prove decisive. The race's winning margins are narrow and time bonuses often come into play, putting a tall order on sport directors to keep things under control. "The main thing on my mind is getting the best out of what we have at this race. I think the guys we have here are really good, so it's great to be in a position to think that we can do something," said Tom Southam, who will make his sport director debt for Cannondale-Drapac. "Both Mike and TJ have proven they can do well here, both are great athletes and having them both there gives us a great hand to play. Then on the other stages we've got Paddy Bevin and Tom Van Asbroeck." Southam was a DS last season with Drapac Professional Cycling. This race marks his first in the driver's seat of a WorldTour team. "You could say it's like being given the keys to your older brother's sports car for the first time," he said. "First thing you want to do is drive it fast, you also need to be cautious that you don't plow it in to a wall. But at least you know someone somewhere trusts you enough to leave you in charge."